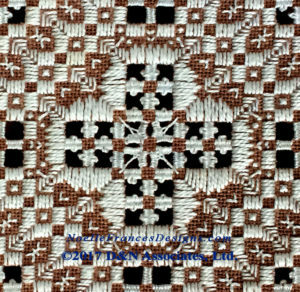 Snowy White Mocha design is a Hardanger counted needlework embroidery presented within a 40-plus page booklet. 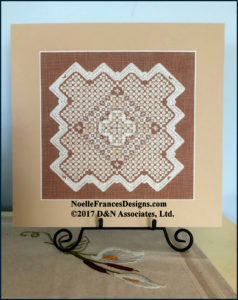 This design utilizes the traditional Hardanger method of needlework satin stitches, kloster blocks, cutwork and fill-in stitches to create the design. Snowy White Mocha, center area. Design count is 197 by 197. Work area is approximately 9 inches square on 22 count fabric. 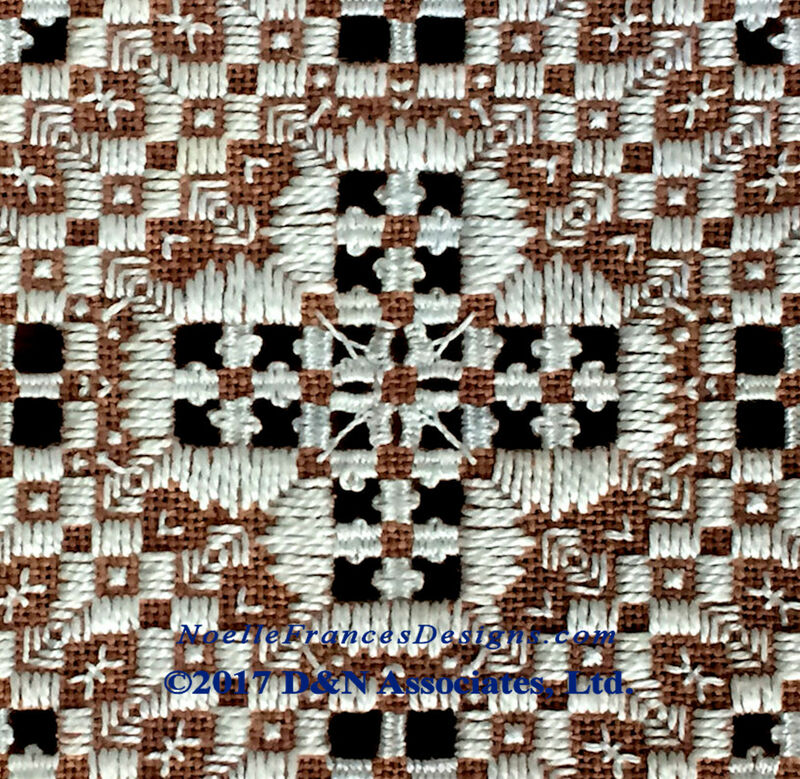 This design incorporates cut work and bar weaving with Picot loops. 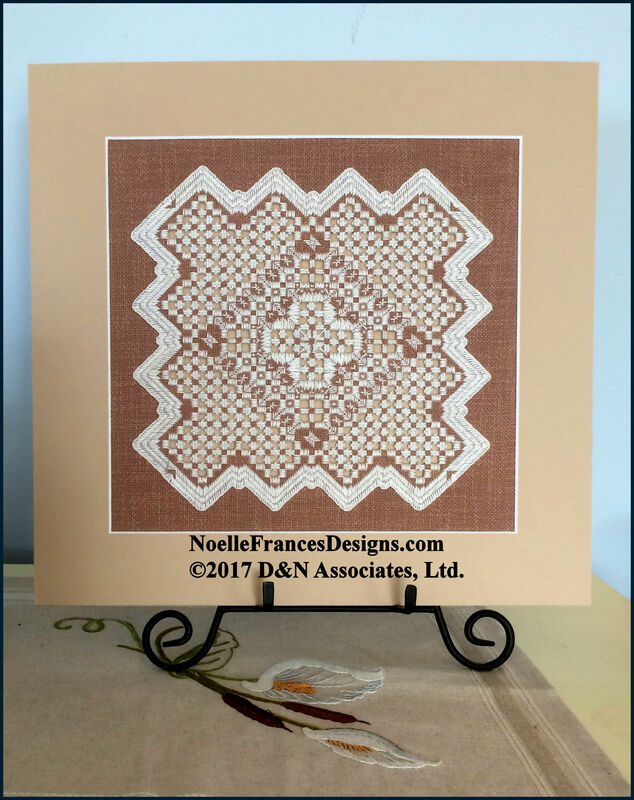 Finished in the traditional Hardanger buttonhole stitched edge, Snowy White Mocha can be displayed as a cabinet top mat or, as I did, mounted in a framing mat and display on a black iron easel. Snowy White Mocha, 40-plus pages in length, is offered in e-booklet format and printed as an 8 by 10-inch paper bound booklet. Click the below photo for ordering or to access the Look Inside feature to view a few pages of the design’s booklet.